Support groups provide strategies and education to families affected by the mental health problems of a loved one or to families who grieve a suicide loss. Families who have lost a loved one to suicide. This support group is not intended to counsel individuals who are thinking about attempting suicide or are in need of mental health care. If you are having suicidal thoughts and need immediate assistance, please call SIUE counseling services at 618-650-2842 or go to the nearest emergency room. MISSA is a formal student organization at SIUE to help provide support to family members and friends of those affected by mental illness and suicide in the campus community through support groups lead by peer to peer coaching. MISSA is partnered with Karla Smith Foundation, SIUE School of Nursing, and SIUE Counseling Services. Participating in support groups will help you meet other individuals who share similar experiences and together we help discover strategies for a more peaceful life. The Karla Smith Behavioral Health (KSBH) support groups offer the opportunity to share openly and learn from other family members and friends who experience similar situations. A commitment to attend a certain number of meetings is not required. Attend once, twice, every meeting – as you are comfortable. We are here to help. Whether you attend one or multiple meetings, we have accomplished our mission if you have learned, felt supported, and you know that you are not alone. Through our experiences, we have seen how a network of supportive group members can be a helpful aide when coping with suicide grief or mental health problems of your loved one. Our Mental Health Support Groups focus on KSBH’s nine strategies for coping with the mental health problems of your loved one. Each meeting begins with introductions and short “check-in,” then we focus on one of the strategies. Cross-talking, sharing, and responding are welcomed and helpful throughout the meeting. Our Suicide Survivor Meetings refer to common Grief Emotions to help identify your current feelings about the loss of your loved one. KSBH believes that sharing, discussing, listening, and talking about your loved one helps in coping with your loss. 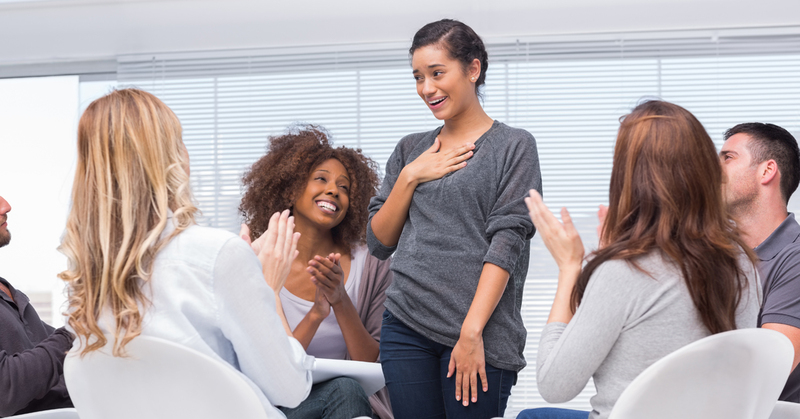 KSBH knows that attending a support group for the first time might seem intimidating. No one is forced to speak or share – often people come to listen and understand. We welcome this. Through experience, we have learned that often a collective head-nod from the group members goes a long way towards easing anxiety and knowing you are not alone. We always welcome new members to join our support groups. KSBH is a non-denominational organization and welcomes any person regardless of religious or non-religious preference. We do however close each KSBH support group meeting with Karla’s version of the Serenity Prayer. A year before she died, Karla added the second verse to the widely-known prayer and prayed it daily. KSBH believes strongly in Karla’s message for hope and peace through this prayer. We kindly request the consumer (the individual with the mental health problem) does not attend our family support groups. Please contact KSBH and we will help you find a support group for the consumer.